What is Trans-Sodium Crocetinate (TSC)? The sodium salt of crocetin, transcrocetinate sodium (INN, also known as trans sodium crocetinate or TSC) is an experimental drug that increases the movement of oxygen from red blood cells into hypoxic (oxygen-starved) tissues. 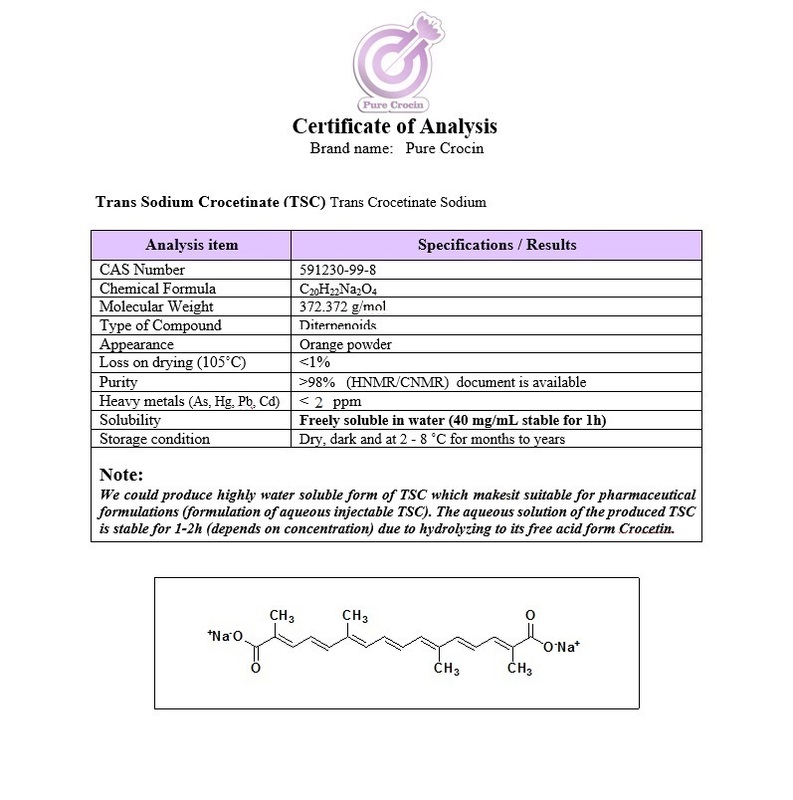 Transcrocetinate sodium belongs to a group of substances known as bipolar trans carotenoid salts, which constitute a subclass of oxygen diffusion-enhancing compounds.